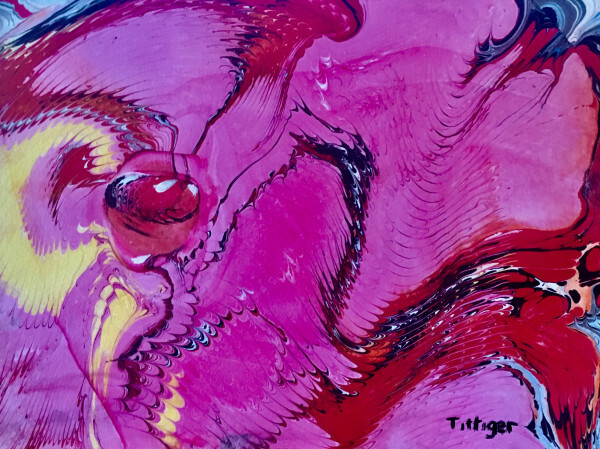 This is a 12 x 9 acrylic marbling with vibrant red. It does remind me of a fern. 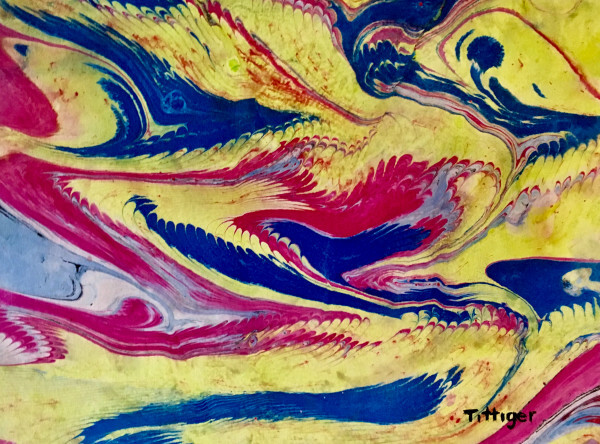 This is a 9 x 12 acrylic marbling. The title is obvious. This is a 12 x 9 acrylic marbling with vibrant blues. This is one of two pieces of work.